Does it ever feel like you're drowning in old fabric? You're surrounded by old clothes, rags, random pieces of cloth and more sheets than you have beds to put them on. Before you go on a massive cleaning spree to purge the house of excess cloth, check out these ways to repurpose some of those unused fabrics and cloths. If you've recently spruced up a room of your house with a new coat of paint, you probably have a dropcloth lying around, taking up space. 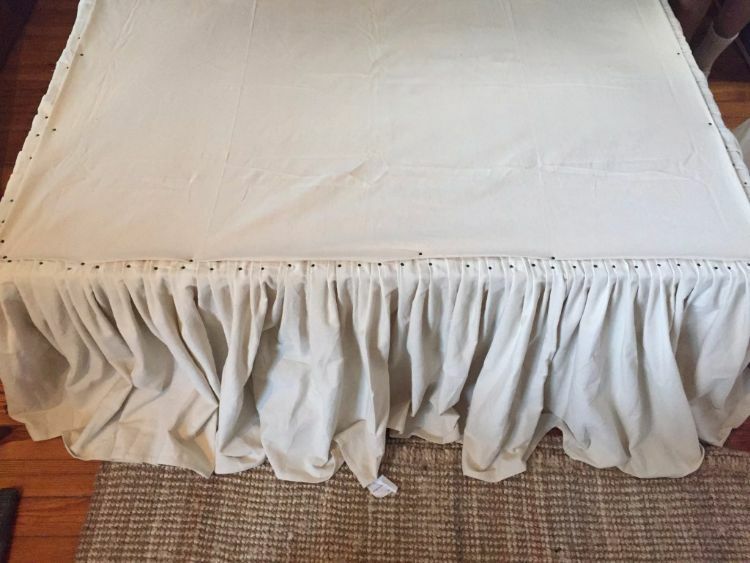 Instead of throwing it out or shoving it into a closet, make it into a bed skirt. You can attach it directly to your bed frame, so there's no sewing required. Worn-out jeans can be used for a variety of home-improvement projects. 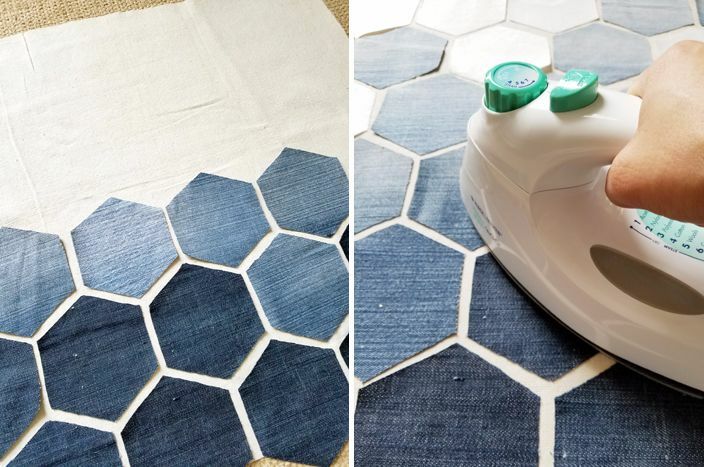 If you're tired of your plain-looking couch pillows but don't want to buy a brand new set, you can create a cute hexagon pattern out of your old jeans. 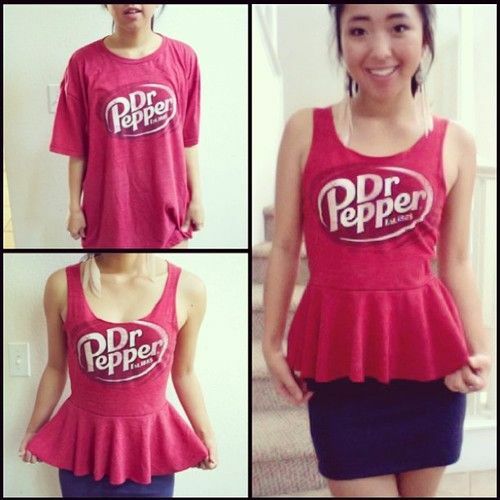 This one requires a little sewing, but the final look is definitely worth the work. 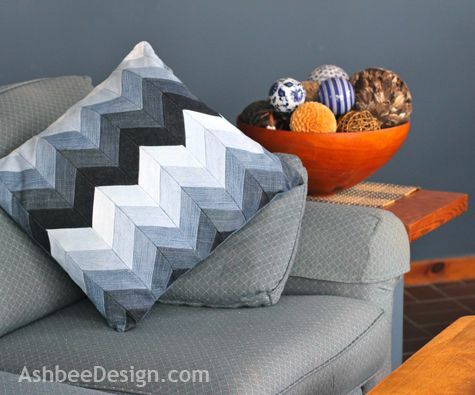 Similar to the hexagon pillows, you can also turn your old jeans and boring pillows into trendy chevron-patterned pillows. These might take a little longer, depending on how particular you are about the color scheme, but the final product will help make the furniture around it more appealing. One of the most popular uses for old jeans is quilt making. For this project, you might have to collect jeans from everyone in your family, because even a twin-sized quilt calls for 238 squares (5 inches each). 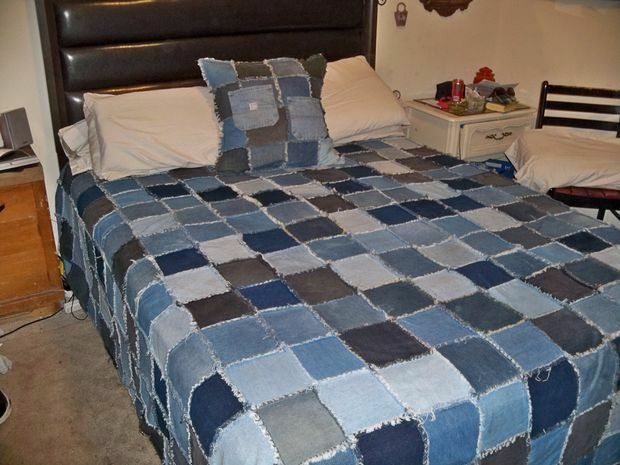 There are different ways to make a quilt out of old jeans, but most people go for a rag quilt because it has both a look and feel of extreme comfort. Jeans aren't the only material perfect for quilting, though. 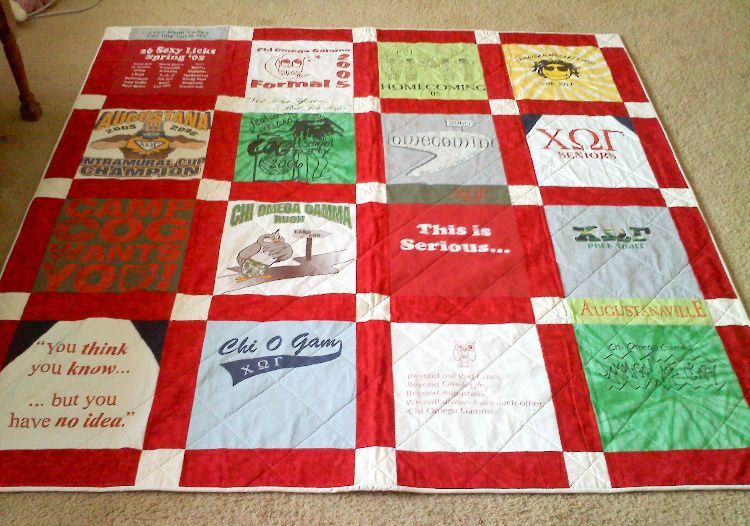 You can also turn your old T-shirts into a quilt. 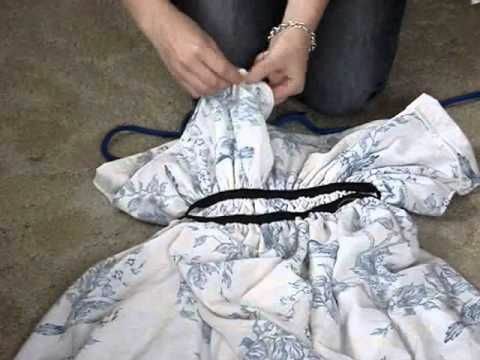 If you have a bunch of shirts taking up space in your closet, but you know you'll never wear them again, bust out your sewing machine and get to work. Or if you always buy shirts at concerts but don't ever wear them, make yourself a music-themed quilt. 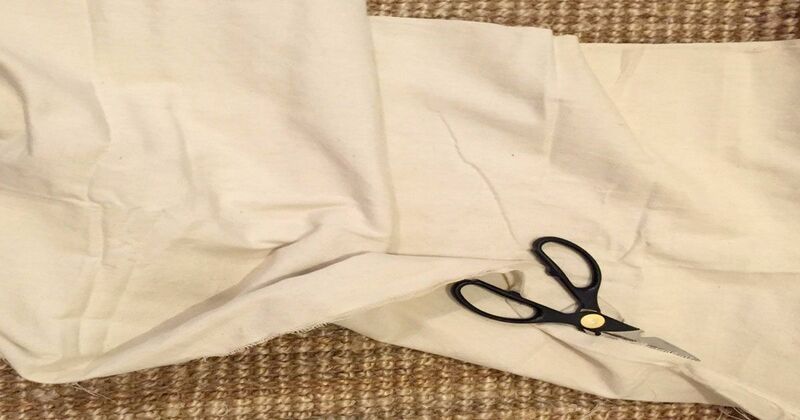 Sheets are another useful cloth that you can reuse instead of throwing away. If you have a set of cute sheets that you want to keep around, use the fitted sheet to make window treatments for your kids' rooms. This project requires absolutely no sewing. 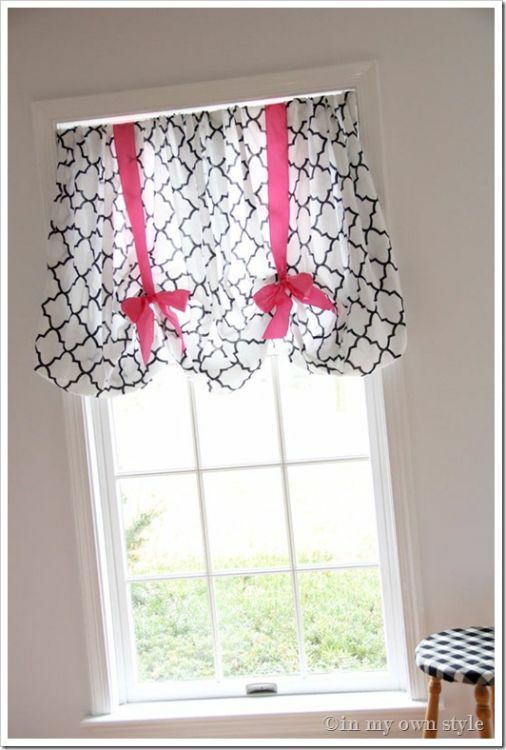 You simply attach the sheet to the curtain rod with ribbons or pins. Most of you have a drawer filled with old scraps of cloth, right? You keep these around to use as dust rags or dish towels or to just clean up little spills around the house. But do you really need that many old rags? Of course not! 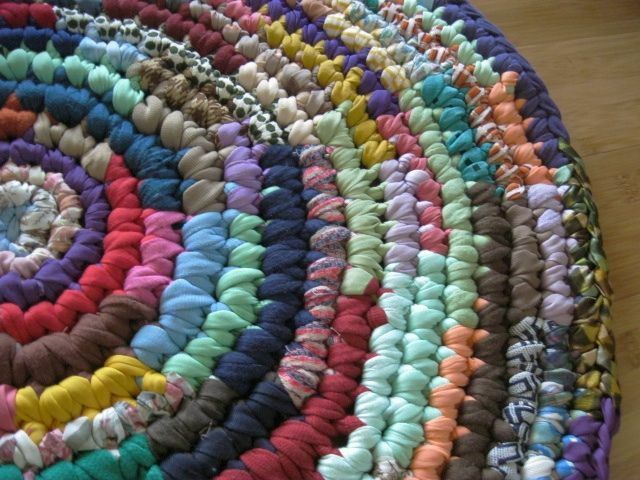 Use the extras to make a rag rug. With one of these, you can brighten up any room you place it in, and it will help keep your feet from freezing on cold floors in the winter. Are some of your sheets too pretty to be hidden away in a bedroom? You can now let them see the light of day by turning them into tote bags. You might have to do a little extra sewing, depending on how much you're planning to haul around in your bags, and you can even include an extra layer of fabric to make them reversible. If you have too many T-shirts but don't have the time to turn them into a quilt, you can repurpose them into a different type of shirt. Though this project requires a lot of measuring and cutting (remember to measure twice, cut once! ), you won't have to do much sewing. And after you've finished, you'll have a brand-new wardrobe filled with shirts you can wear for nicer occasions. If you need the perfect dress to wear with your sheet-turned-bag, all you need is another sheet. Instead of trying to find a dress at the store that will match your new bag, just use another sheet to make your own maxi dress. Flannel shirts tend to have a rugged, vintage look. So why not use them for a completely modern purpose? 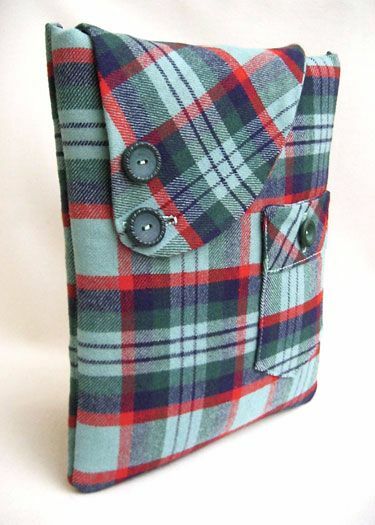 Instead of throwing out your old flannel shirts, turn them into cases for your iPads or other electronics. This will help protect your devices in a way that's aesthetically pleasing. Before you know it, the holidays will be rolling around, and you'll have to figure out which decorations to use. 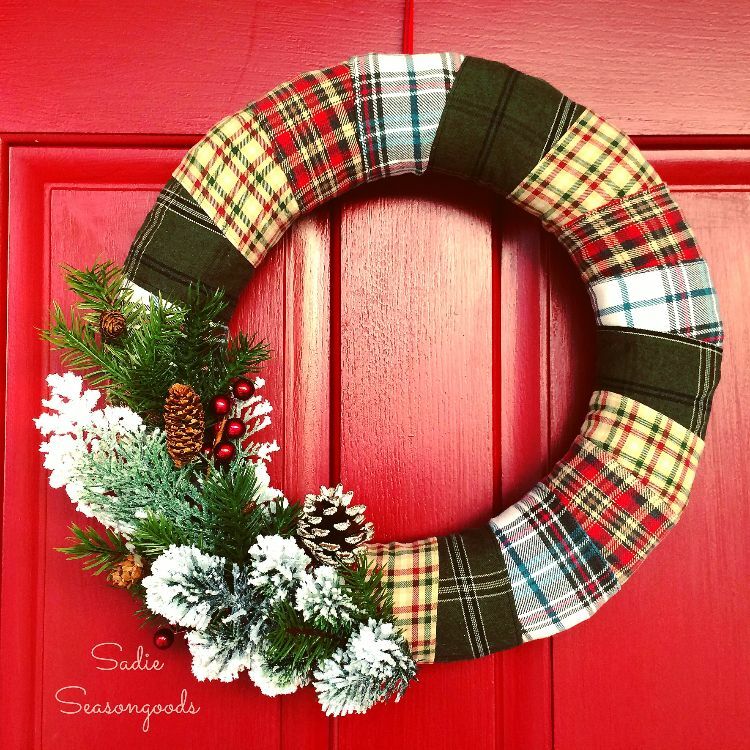 With this tutorial, you can get rid of some of your old flannel shirts and create an awesome new wreath for your front door all in one shot! Next time you find yourself with some extra fabric on your hands, don't rush to get rid of it. Instead, grab some scissors, fire up your sewing machine, and get to work on a new project. And in the meantime, share this on Facebook with any friends who might be looking to repurpose some old cloth of their own.